You’ve been through the exhaustive recruitment process, interviewed the top candidates and finally found the talent you need to take your team to the next level. With this major milestone behind you, you can finally catch up on the projects you’ve put aside for the past few weeks. Later, when your new employee is due to start work, you can quickly go about sorting out all the things they’ll need, desk space, equipment, security access etc. It won’t take long and you’ll have more time to focus on their orientation. Right? You’ve just missed a prime opportunity to prepare yourself, your team and your new employee for the onboarding process ahead. We’ve compiled a list of everything you need for your new employee so that you’re not rushing to meet the start date deadline. 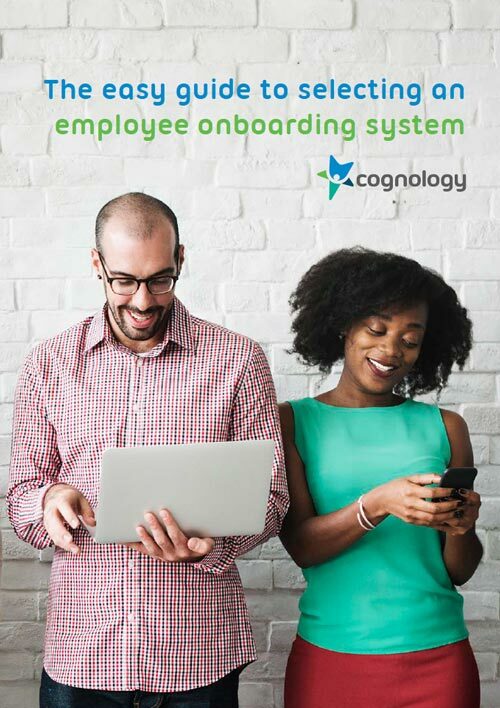 If you’d like to know more about the non-negotiables you need to look for in your onboarding program then look no further than The Easy Guide to Selecting an Onboarding System. Download our complimentary whitepaper below. With every new employee, there’s a certain amount of paperwork that must change hands. Contracts, job descriptions, bank and super details and policy acknowledgments. All of this crucial documentation needs to be submitted, but why wait until the first day? Automate the process so your new employee can spend more time getting up to speed with their new role and less time following up paperwork. Beyond the paperwork, your priority is to create a seamless transition for your new employee into your team. With a head-start in this area you can provide your new employee with day one information such as company values and mission statements and even send through their onboarding login. Reducing the delay between the letter of offer and first day is a great way to build engagement before the official commencement date. Check out these ‘must-haves’ for your company welcome pack (also known as an induction kit). The worst nightmare of a new employee is turning up on the first day without a computer, access pass or desk. No-one wants to feel like they are a second thought, and utilising onboarding checklists is a simple way to ensure you speak to all of the relevant departments and keep everyone on track prior to your new employee’s start date. Of course, the most important part of onboarding is bringing your new employee up to speed and the best way to do this is with a personalised program customised to meet the requirements of the role. Creating a comprehensive, interactive onboarding program is simple with the right tools, and gives you the opportunity to set clear performance milestones, have regular check-ins with your new starter and keep track of their progress right up to the end of the probationary period. What to include in a Work Health and Safety (WHS) Induction Checklist Teacher Performance Management – Is It Worth the Investment?